The Bronx, NY (March 27, 2019) – A fire tore through an apartment complex early on Wednesday morning, March 27th, and was stated to have resulted in the injuries of at least eight people. According to authorities, the blaze was reported to have started around 1:45 a.m. inside an apartment at the intersection of University Avenue and West Burnside Avenue in Morris Heights. Firefighters were immediately dispatched to the aforementioned location to battle the fire that broke out on the second floor of the six-story building. The blaze quickly spread to the third and fourth floors and was not deemed to be under control until shortly after 3:00 a.m. Police and emergency medical crews accompanied firefighters at the scene. According to fire officials, five people suffered at least minor injuries, while three others sustained more serious, albeit non-life-threatening, injuries. The specific conditions of the victims have not been made clear at this time and the investigation into the cause of the fire is ongoing. We would first like to offer our genuine sympathies and to all eight injured parties, as we maintain hope for their full recoveries, and thank the brave New York firefighters who risked their lives to staunch this blaze. Many fires and explosions in New York often prove to be seriously injurious or fatal, as they are one of the most dangerous situations that anyone may face at any time. 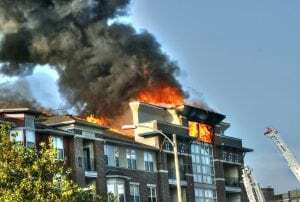 It is terribly important to understand that, as victims of a fire, particularly one that started for reasons beyond your control, you may have substantial rights to follow. At Hach & Rose, we realize that there is almost nothing as challenging as dealing with an unexpected injury. As fellow members of the community, our experienced and compassionate New York accident attorneys are here for you 24/7 to answer any questions you may have at this time. If you have been hurt in a New York fire or explosion, please don’t hesitate to call 212-779-0057 today.